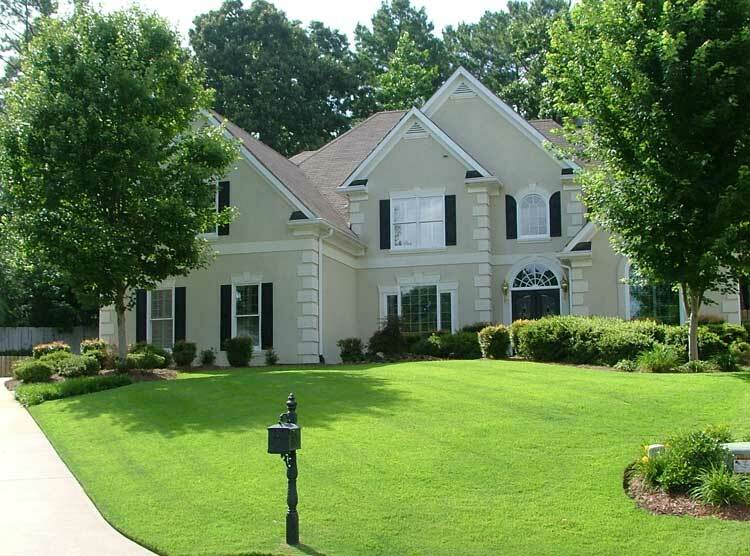 Lawn Frogs Landscaping has provided lawn mowing, landscape, and irrigation services to the Atlanta area since 2003. Our team of professionals can provide your home or business with a full range of services from conceptual design to installation. We provide turn-key design and installation of landscapes, irrigation systems, ponds & water features, aeration, retaining walls, hardscapes, patios & walkways, and low voltage lighting. 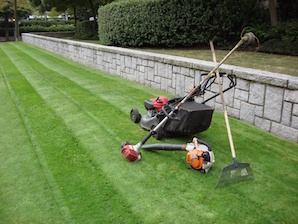 Additionally, Lawn Frogs Landscaping has a full range of lawn maintenance and service programs available. 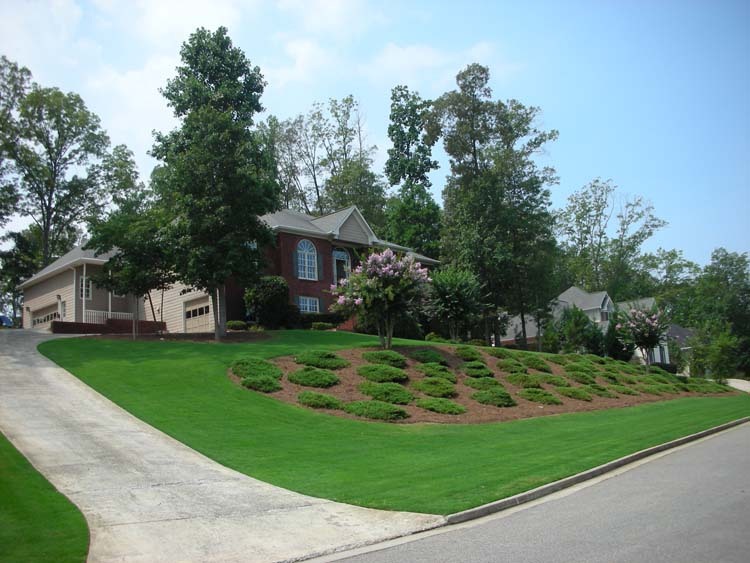 Lawn Frogs Landscaping provides landscape design year round. We will help you with plant selection, color, hardscapes, landscape lighting, and planning to ensure the end result is one you will enjoy for years to come. We understand that residential service agreements are a special kind of a relationship. When we are invited to care for your property, we treat it as we would our own. Our uniformed crews always place safety first, and the job is not complete until you are satisfied with the work. We offer both fixed monthly and pay per service contracts and will tailor the level of service to your specific needs. We may recommend one or both of these services if your soil is heavy clay or your lawn is thatchy. Aeration benefits your lawn in many ways, particularly by helping to improve air and water infiltration to your grass roots. Trees and shrubs are an important part of your curb appeal. We can enhance your landscape environment with stronger, healthier, and more beautiful trees and shrubs that you will love for years to come. 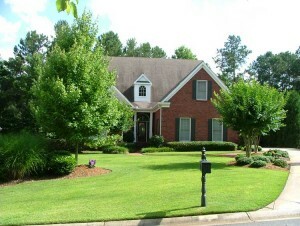 With our tree and shrub service, you’ll benefit from a program that is designed to enhance and protect your landscape. We provide a scheduled feeding and pruning service to keep your trees and shrubs in top health. 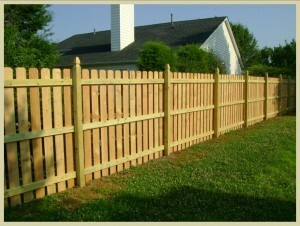 Our experienced fence installers can perform new fence installations as well as existing fence repairs. 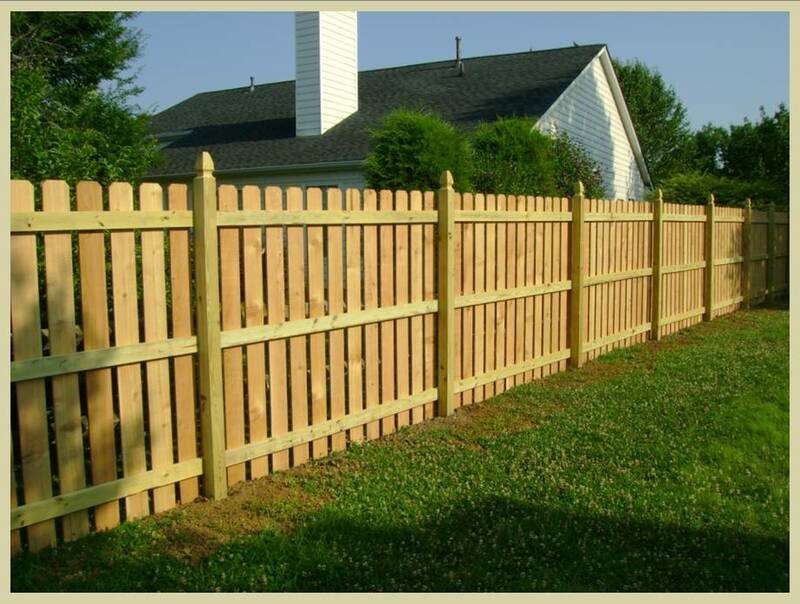 Anytime you have a fencing need, just call us and we’ll send out an experienced professional to review the project and provide you with a detailed proposal to address all of your fencing needs. Lawn Frogs Landscaping provides installation of a variety of fence products including chain link fencing, split rail wood fencing, privacy fencing, picket fencing, aluminum fencing, PVC fencing, and guard rails. If you can dream it, we can build it! For any of your landscaping needs, whether it has to do with lawn care design, maintenance, or fence installation, do not hesitate to contact us immediately. Call us through our number above or fill out the contact form. We’ll be happy to answer any of your questions about our services! Get started on your dream lawn today.